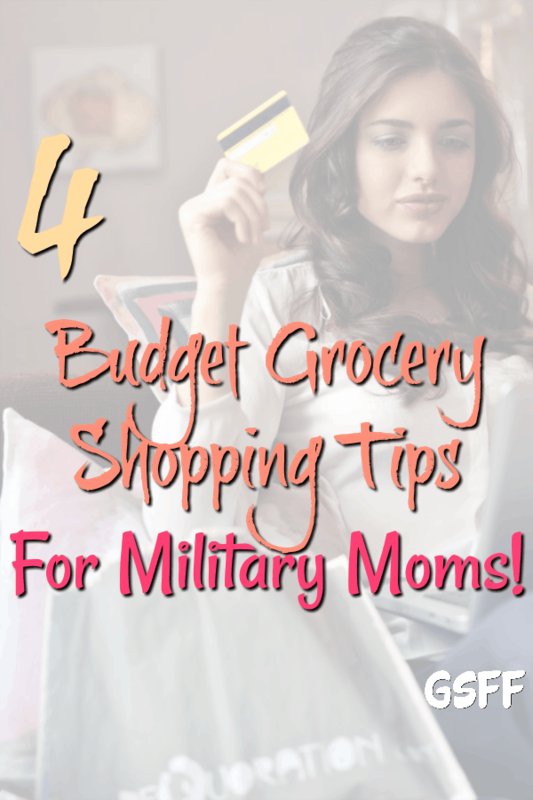 Budget Grocery Shopping Tips For Military Moms! 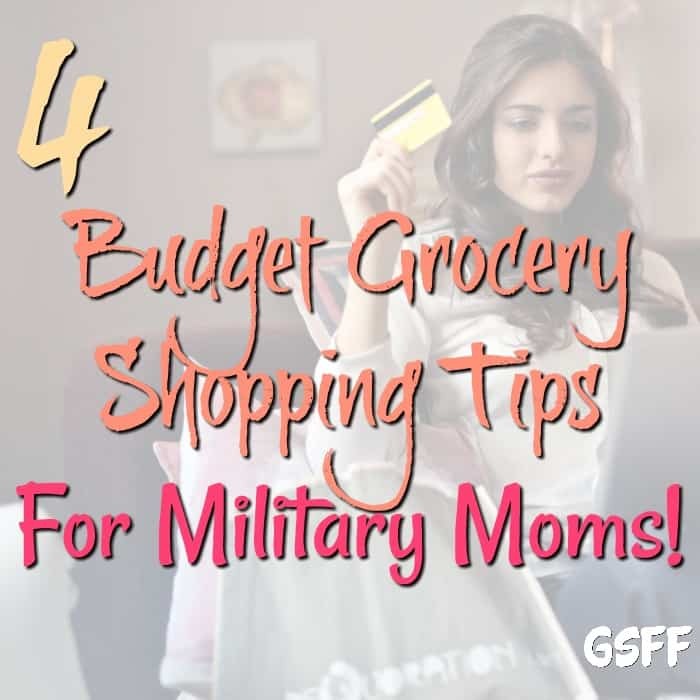 You are here: Home / Great Deals / Budget Grocery Shopping Tips For Military Moms! If you’re in the military or have a family member who is in the military, please let me start by saying thank you for the sacrifices you made/are making so that my family can be free and safe. Being a single mom feeding 3 hungry boys (2 kids and a hubby), I’m always torn between spending too much on food and not preparing enough meals for them. The fact that my kids are growing and evolving into real little termites that would eat literally anything doesn’t help at all. Scaling their growth can prove to be a real challenge for our family budget, with only my husband contributing to it at the moment. This is what made me master the skills of balancing between the quantity and quality of what’s on the table, and the tight budget that is presented to me on an everyday basis. As this is a reality of all home-staying moms I do believe that all of you have your own ways of saving money on buying at the grocery stores. Whether you’re living a life of a military family or you don’t have ties with the Army whatsoever, it doesn’t really matter. However, the fact that we are a military family makes things a bit different. Let’s admit it, military families do enjoy some special offers and treatments and budgeting your meals is no exception to it as we all have – commissaries. So let’s see how commissaries are saving my family budget when it comes to shopping for groceries. Let’s get this straight – I was an avid coupon lover even before I become a mother. I was so into coupon collecting and following up on all the active deals that I often laughed at how I was able to actually shop free with proper coupon utilization. However, once the children kicked in, it started to get harder and harder for me to spare enough free time to stroll through different markets just for the purpose of hunting discounts. That all changed when I found out about commissary rewards program. Rewards program works just like any actual coupon system with some additional conveniences. For example, I no longer have to keep track of all the coupon savings. Commissary rewards system has it all automated for you. All your activity is tracked and electronically added on the cash point. And one cool thing about the program is – expired coupons are actually redeemable overseas (although this didn’t do much for my family, to be honest, but, may come in handy if your husband is deployed outside the States). Buying in bulk when it’s time to do so is a no-brainer for anyone. Commissaries have very often case lot sales when there are different types of products (most commonly meat) offered at a bulk discount. When I think of it, I can’t really remember the last time I paid a full price for ground beef! Besides meat and staples, we often find some of our favorite snacks on discount as well. I must say that I just love commissary customer support desk and how considerate they are towards military families. I actually took advantage of it and asked them to list my son’s favorite fruit juice when we moved cities due to my husband’s deployment. Although this, in fact, doesn’t mean that you’ll actually save money by requesting the store to list new products for your convenience, but it certainly adds to the feeling that you’re being respected and taken care of. Last but not least, it is worth mentioning that many credit card companies offer rewards for shopping on base and in commissary stores. By far, we’ve perhaps scored some of our biggest savings by simply opting for military-friendly credit card options, so that’s definitely something that you should be looking for if you enjoy benefits of being a military mommy. Stephanie is the founder of Military Travel Mama; she is the wife of a military professional and mother to two children. Follow her blog for more about military life, military discounts, family trips, healthy eating, and parenthood.